Sign Up Today for Swing for Art! Have fun while supporting fine art in your community. Interested in Sponsorship Opportunities? 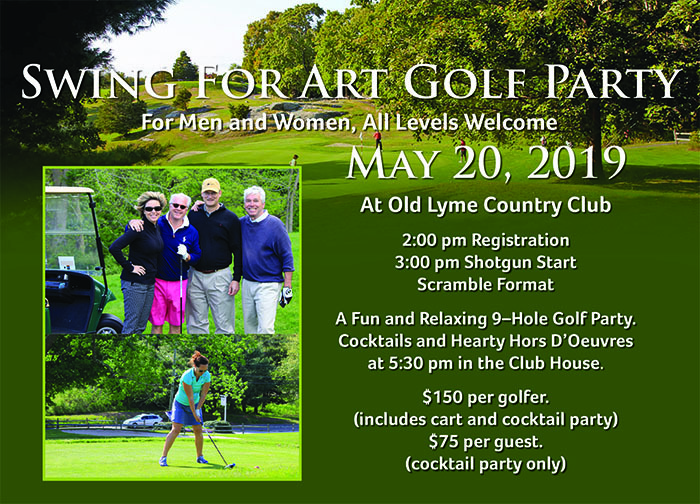 Contact Elsbeth Dowd at elsbeth@lymeartassociation.org or 860-434-7802.